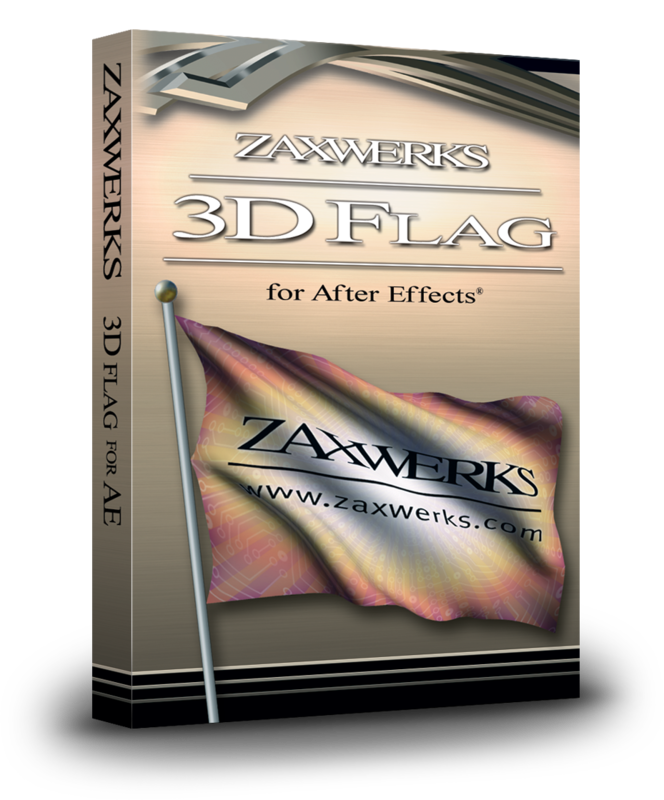 Zaxwerks 3D Flag is a plug-in for Adobe After Effects that turns any picture, comp or movie into a realistic animated flag. The motion of the flag is based on physics so keyframes are not needed to get realistic motion. The cloth of the flag responds to wind, gravity and the movement of the pole. Animate the position of the poles to wave your flag! 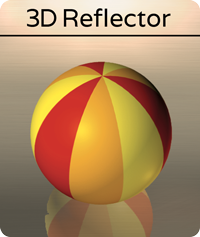 Create real 3D Flags with real dynamics. 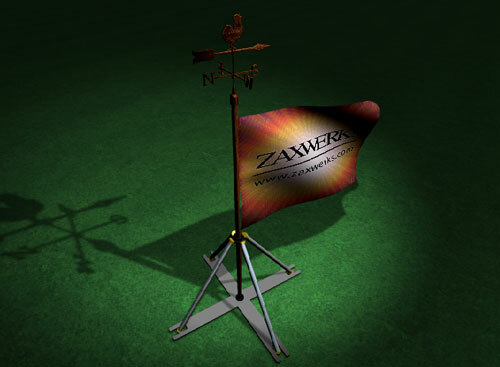 Let your flag react to the wind and gravity as it's showing off your logo. Creating Looping with a few clicks. 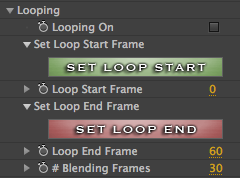 The new Looping controls are intuitive and easily sets up the loop by setting a start and end frame. You can now assign different images on the front and back of the flag. This is a great way to create a reveal or a useful way to create a transition. Change your flag from a vertical flag to a horizontal flag, banner, curtain, frame or background with our new presets. Creating a banner unroll or curtain animation is simply done with adjusting the amount of the roll or folds on the curtain. Work with fully 3D flag poles and end caps. The flag pole and end caps are fully customizable so you can apply any material to get the right look for your project. There are dozens of top and bottom end caps from decorative flag tips to highly detailed stands and wall attachments. Not only does the program come with dozens of end caps, you can even create your own custom end cap. 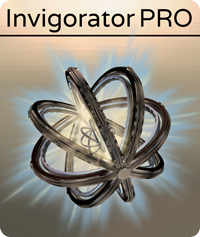 Using ProAnimator/ProModeler or 3D Invigorator PRO your imagination is your limit on what you can do! Use dozens of preset materials to quickly set up the flag fabric, flag pole, or the end caps. With the new Material Editor panel, you can edit any existing material preset, or create your own material from scratch. Use the gradient, noise and grid shaders in combination with Bump, Transparency and Reflectivity to create ultra-realistic materials. Using the Flatten control, you can turn a flag from a flat card to a waving flag, or have a flag turn into a flat image whenever you like. This is useful for creating transitions where the animation starts as a flat image then turns into a waving flag or vice versa. 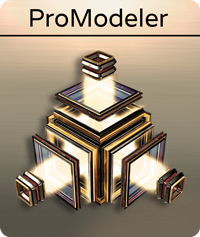 Assign an After Effects 3D Layer as the shadow catcher layer. The assigned layer will act as a wall or floor layer that the flag shadow falls on. 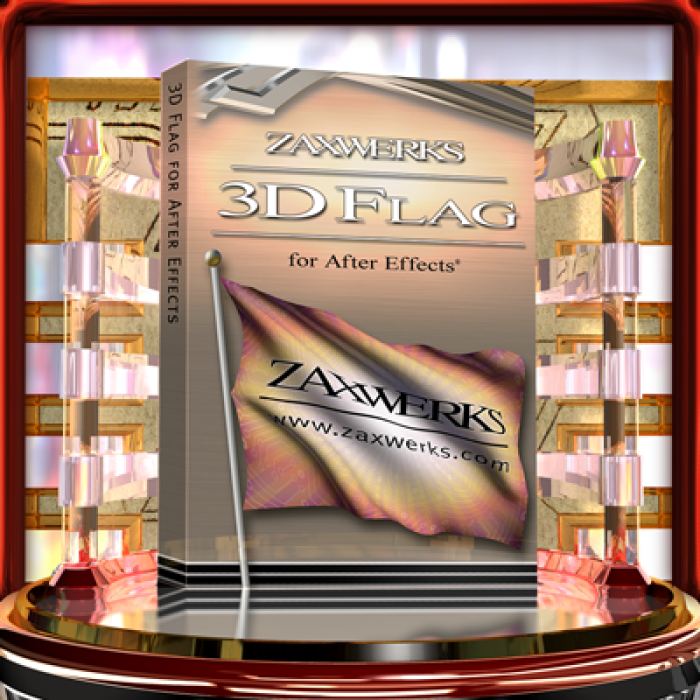 3D Flag gives you the ability to create flags of almost any color and shape. 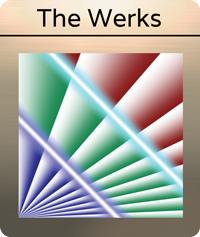 You can use an image, image sequence, or movie to color the flag. Also, by choosing an image with transparent areas, you can create flags that look like pennants and banners. Your flag may or may not have a flagpole. It's your choice. 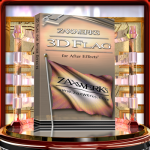 If your flag does have a pole, then you can choose one of the horizontal or vertical poles that come with 3D Flag -- or you can install your own. Flagpoles do not have to be fixed in space. You may animate them as you would any other 3D object, adjusting the location and rotation. 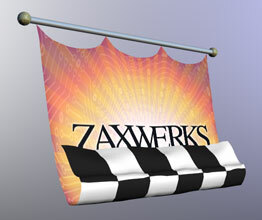 Make your flag wave in the air or simply rotate it into the correct orientation for your scene. 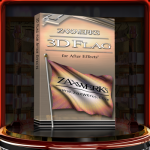 There are many different types of cloth materials you can simulate with 3D Flag. You can make your flags loose and rubbery or stiff and inflexible. 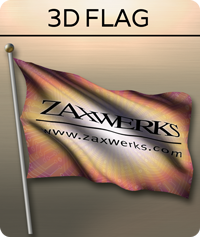 3D Flag allows you to set forces like Wind Speed, Wind Direction, and Gravity. You can even animate them to simulate varying wind conditions (the wind is rarely constant, after all) or make the flags look like they're on the moon (which has much less gravity than Earth). Wind generator will create breezy, gusty or lazy wind conditions. 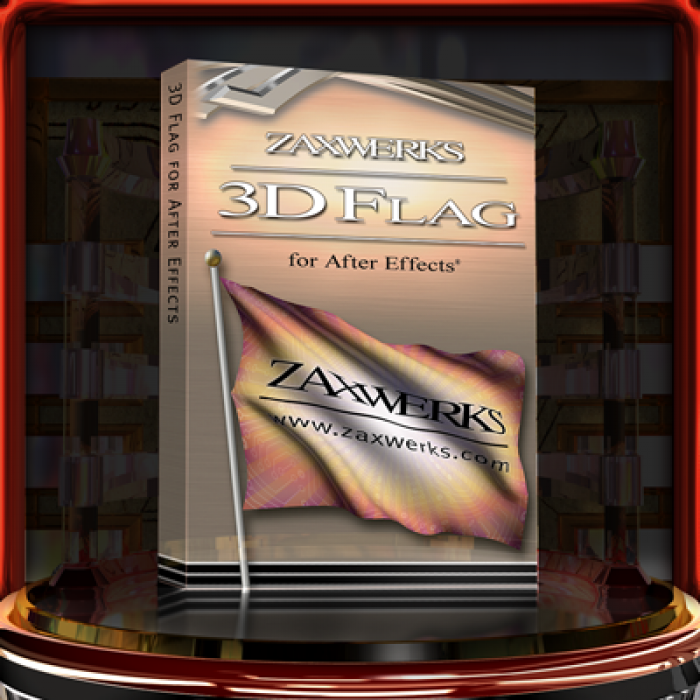 Built in Slo-Mo lets you create super slo-motion flags without getting blurred pixels or needing to time-remap. 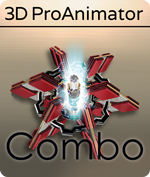 This plug-in only works in Adobe After Effects. It is not compatible with any other host. 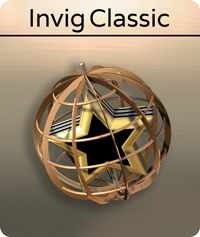 For users working with After Effects CS6, please contact us for older versions of the plug-in. Click Here to watch a video of all new version 4 features. Fixes an issue where the flag fabric may twist when adjusting the Flag Pole Length value. Fixes an issue where the flag end cap may change to a sphere. Added Tool Tips for many controls within the Flag Set-Up window. Fixes a mapping issue where the map may be off by a pixel. Fixes an issue where working with End Caps may cause the program to crash. Fixes for Wind Variation where it may not be working properly with Pre-Roll. Fixes the Flag Z Position control where the flag may not update properly. The flags can have different pictures on the front versus the back. Animations are now loopable. Perfectly, frame-accurately loopable. Create curtains to generate a movie theater effect. Create roll-down and drop-down animations to reveal banners. Real 3D Flag Poles that can be made to look like wood, steel, etc. Attach a wide array of caps to the tip of your flag using fancy spikes, shiny ornaments and more. 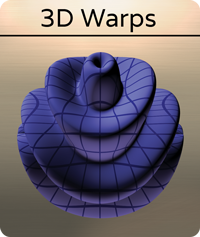 You can even build your own in other 3D programs. Set your flag on sophisticated stands, wall attachments or even a lamp post. 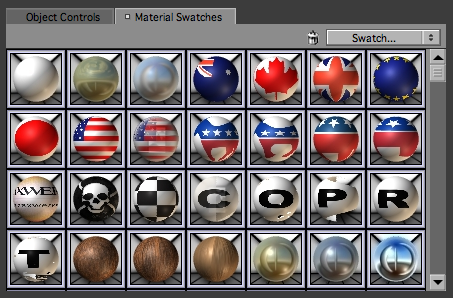 Material Editor lets you create highly realistic materials that can be used for the Flag fabric, poles, or custom end caps. 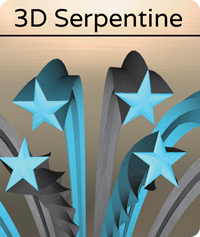 Dozens of new presets let you create single or double poled flags, banners, curtains quickly. 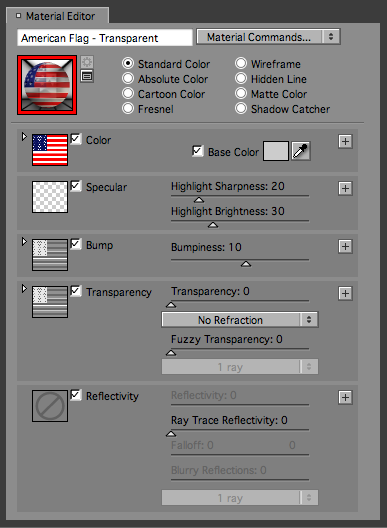 Drag and drop flag presets including the American, Canadian, and English Flag or create the Democratic and Republican flag for the upcoming elections. Using the Flatten control, you can turn a flag from a flat card to a waving flag, or have a flag turn into a flat image whenever you like. Shadow Catchers help you integrate flags into existing footage. Fixed the Disk Cache Compatibility Issue in After Effects CS6. New interface for real-time Flag simulation.